SB94 SD1 RELATING TO ELECTIONS. SB196 RELATING TO THE ENVIRONMENTAL IMPACT STATEMENT LAW. SB197 HD1 RELATING TO CAMPAIGN FINANCE. SB198 SD2 RELATING TO THE TRANSIENT ACCOMMODATIONS TAX. SB200 RELATING TO INTERNATIONAL EDUCATION PROGRAMS. SB201 RELATING TO RESIDENTIAL PROPERTY. SB202 RELATING TO PROFESSIONAL AND VOCATIONAL REGULATORY PROGRAMS. SB204 RELATING TO REAL ESTATE. SB205 RELATING TO PICKUP TRUCKS. SB206 SD1 RELATED TO CAMPAIGN FINANCE. SB254 RELATING TO DIGITAL CONTENT BLOCKERS. SB273 RELATING TO THE UNIVERSITY OF HAWAII. SB274 RELATING TO THE DEPARTMENT OF TRANSPORTATION. SB275 RELATING TO THE DEPARTMENT OF TAXATION. SB276 SD1 HD1 RELATING TO THE DEPARTMENT OF PUBLIC SAFETY. SB277 SD1 HD1 RELATING TO THE DEPARTMENT OF LAND AND NATURAL RESOURCES. SB278 RELATING TO THE DEPARTMENT OF LABOR AND INDUSTRIAL RELATIONS. SB279 SD1 RELATING TO THE DEPARTMENT OF HUMAN SERVICES. SB280 RELATING TO THE DEPARTMENT OF HUMAN RESOURCES DEVELOPMENT. SB281 SD1 HD2 RELATING TO THE DEPARTMENT OF HEALTH. SB282 RELATING TO THE DEPARTMENT OF HAWAIIAN HOME LANDS. SB283 RELATING TO THE DEPARTMENT OF EDUCATION. SB284 RELATING TO THE DEPARTMENT OF DEFENSE. SB285 SD1 RELATING TO THE DEPARTMENT OF COMMERCE AND CONSUMER AFFAIRS. SB286 RELATING TO THE DEPARTMENT OF BUSINESS, ECONOMIC DEVELOPMENT, AND TOURISM. SB287 RELATING TO THE DEPARTMENT OF BUDGET AND FINANCE. SB288 RELATING TO THE DEPARTMENT OF THE ATTORNEY GENERAL. SB289 RELATING TO THE DEPARTMENT OF AGRICULTURE. SB290 RELATING TO THE DEPARTMENT OF ACCOUNTING AND GENERAL SERVICES. SB291 RELATING TO THE OFFICE OF ENTERPRISE TECHNOLOGY SERVICES. SB301 SD1 HD1 RELATING TO TAXATION OF REAL ESTATE INVESTMENT TRUSTS. SB302 RELATING TO PRINCIPAL DEPARTMENTS. SB303 HD1 RELATING TO GARDENS. SB305 RELATING TO ELECTRIC GUNS. SB396 SD1 RELATING TO MARKETPLACE FACILITATORS. SB397 SD2 RELATING TO CONTRACTING. SB485 SD1 HD1 RELATING TO BIOSECURITY. SB487 RELATING TO COLLECTIVE BARGAINING. SB489 SD2 RELATING TO SHARK AND RAY PROTECTION. SB500 SD2 RELATING TO THE OFFICE OF THE LIEUTENANT GOVERNOR. SB506 RELATING TO MOTOR VEHICLES. SB555 RELATING TO MINIMUM WAGE. SB576 RELATING TO EMPLOYMENT SECURITY. SB577 SD1 RELATING TO ACTIVE DUTY MILITARY ENTITLEMENTS. SB584 RELATING TO FUNDING FOR SCHOOL REPAIR AND MAINTENANCE. SB585 RELATING TO THE SCHOOL-LEVEL MINOR REPAIRS AND MAINTENANCE SPECIAL FUND. SB586 SD1 RELATING TO SCHOOL IMPACT FEES. SB589 RELATING TO THE DEPARTMENT OF EDUCATION. SB751 SD1 RELATING TO THE HAWAII ASSOCIATION OF CONSERVATION DISTRICTS. SB830 RELATING TO PUBLIC ACCESS. SB831 RELATING TO URBAN AGRICULTURE. SB833 RELATING TO DAM AND RESERVOIR SAFETY. SB835 SD1 RELATING TO THE STATE BOARD ON GEOGRAPHIC NAMES. SB836 RELATING TO THE TRANSIENT ACCOMMODATIONS TAX. SB839 RELATING TO CAPITAL IMPROVEMENT PROJECTS FOR THE BENEFIT OF THE FIFTH SENATORIAL DISTRICT. SB854 RELATING TO ORDER OF SUCCESSION. SB855 SD1 RELATING TO THE LOW-INCOME HOUSING TAX CREDIT. SB859 SD1 HD1 RELATING TO CAPITAL IMPROVEMENT PROJECTS. SB863 RELATING TO APPELLATE JURISDICTION. SB864 PROPOSING AMENDMENTS TO THE CONSTITUTION OF THE STATE OF HAWAII TO AMEND THE MANNER IN WHICH JUSTICES AND JUDGES ARE APPOINTED, CONSENTED TO, AND RETAINED. SB865 RELATING TO THE FAMILY COURT. SB1063 RELATING TO WIRELESS COMMUNICATION. SB1115 RELATING TO THE UNIFORM INFORMATION PRACTICES ACT. SB1116 RELATING TO WATER RIGHTS. SB1117 RELATING TO EXEMPTIONS FROM JURY DUTY. SB1118 SD1 RELATING TO THE EMPLOYEES' RETIREMENT SYSTEM. SB1339 SD2 RELATING TO REAL PROPERTY TRANSACTIONS. SB1340 SD2 RELATING TO REAL PROPERTY TRANSACTIONS. SB1342 HD1 RELATING TO THE PROBATE CODE. SB1343 SD1 HD1 RELATING TO SELECTIVE SERVICE. SB1418 SD1 HD1 RELATING TO THE UNIVERSITY OF HAWAII. SB1419 SD1 HD2 RELATING TO THE UNIVERSITY OF HAWAII. SB1465 SD2 HD1 RELATING TO TREATMENT INSURANCE BENEFITS. 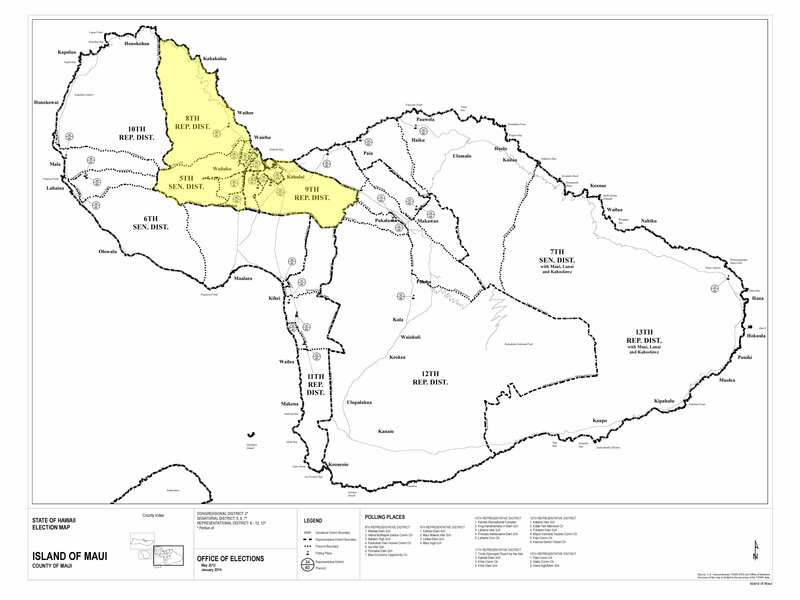 SB1471 SD1 HD1 RELATING TO CAPITAL IMPROVEMENT PROJECTS FOR THE COUNTY OF MAUI. SB1505 SD1 RELATING TO HARBORS. SCR114 URGING THE BOARD OF EDUCATION TO ADOPT RULES TO ALLOW HOME SCHOOLED STUDENTS TO PARTICIPATE IN PUBLIC SCHOOL EXTRACURRICULAR ACTIVITIES. SCR115 REQUESTING THE GOVERNOR TO PRIORITIZE THE PLANTING OF FOUR MILLION TREES ALONG STREETS AND ROADWAYS WITHIN THE NEXT FOUR YEARS TO HELP ADDRESS CLIMATE CHANGE AND MAKE COMPLETE STREETS STATEWIDE. SCR125 URGING THE UNIVERSITY OF HAWAII, IN CONSULTATION WITH ITS FACILITIES OFFICES, THE DEPARTMENT OF ACCOUNTING AND GENERAL SERVICES, AND INDUSTRY REPRESENTATIVES, TO DEVELOP AN INTEGRATED PLAN TO PROVIDE CERTIFICATES, DEGREES, AND ASSOCIATED PATHWAYS IN THE AREAS OF FACILITIES MAINTENANCE AND CONSTRUCTION MANAGEMENT. SCR163 REQUESTING THE AUDITOR TO CONDUCT AN AUDIT OF THE DEPARTMENT OF EDUCATION'S STATEWIDE BACKLOG OF CAPITAL IMPROVEMENT REPAIR AND MAINTENANCE PROJECTS. SCR165 SD1 REQUESTING THE OFFICE OF PLANNING TO ESTABLISH AN AGRICULTURAL HOUSING TASK FORCE TO STUDY EXISTING COUNTY AND STATE LAWS, RULES, AND PROCESSES TO PLAN FOR THE CONSTRUCTION OF ON-FARM EMPLOYEE HOUSING WITHIN THE STATE AGRICULTURAL DISTRICT. SCR166 URGING ALL APPLICABLE STATE AGENCIES TO WORK TOGETHER WITH INTERESTED STAKEHOLDERS, INCLUDING THE HONOLULU HARBOR USERS GROUP, IN ASSESSING THE RISK OF AQUATIC INVASIVE SPECIES TO HAWAII, VECTORS, AND POSSIBLE MITIGATIONS, IN PREPARATION FOR THE ESTABLISHMENT OF NEW FEDERAL STANDARDS IN 2022. SCR167 REQUESTING THE ESTABLISHMENT OF A TASK FORCE TO STUDY THE FEASIBILITY OF LEGALIZING SPORTS GAMBLING. SCR212 REQUESTING THE PRESIDENT OF THE SENATE AND SPEAKER OF THE HOUSE OF REPRESENTATIVES TO CONVENE A JOINT LEGISLATIVE TASK FORCE TO DETERMINE DESIGN SOLUTIONS AND SAFETY FEATURES TO ENHANCE PEDESTRIAN SAFETY ON STATE AND COUNTY ROADS. SR84 URGING THE BOARD OF EDUCATION TO ADOPT RULES TO ALLOW HOME SCHOOLED STUDENTS TO PARTICIPATE IN PUBLIC SCHOOL EXTRACURRICULAR ACTIVITIES. SR85 REQUESTING THE GOVERNOR TO PRIORITIZE THE PLANTING OF FOUR MILLION TREES ALONG STREETS AND ROADWAYS WITHIN THE NEXT FOUR YEARS TO HELP ADDRESS CLIMATE CHANGE AND MAKE COMPLETE STREETS STATEWIDE. SR95 URGING THE UNIVERSITY OF HAWAII, IN CONSULTATION WITH ITS FACILITIES OFFICES, THE DEPARTMENT OF ACCOUNTING AND GENERAL SERVICES, AND INDUSTRY REPRESENTATIVES, TO DEVELOP AN INTEGRATED PLAN TO PROVIDE CERTIFICATES, DEGREES, AND ASSOCIATED PATHWAYS IN THE AREAS OF FACILITIES MAINTENANCE AND CONSTRUCTION MANAGEMENT. SR129 REQUESTING THE AUDITOR TO CONDUCT AN AUDIT OF THE DEPARTMENT OF EDUCATION'S STATEWIDE BACKLOG OF CAPITAL IMPROVEMENT REPAIR AND MAINTENANCE PROJECTS. SR131 SD1 REQUESTING THE OFFICE OF PLANNING TO ESTABLISH AN AGRICULTURAL HOUSING TASK FORCE TO STUDY EXISTING COUNTY AND STATE LAWS, RULES, AND PROCESSES TO PLAN FOR THE CONSTRUCTION OF ON-FARM EMPLOYEE HOUSING WITHIN THE STATE AGRICULTURAL DISTRICT. SR133 REQUESTING THE ESTABLISHMENT OF A TASK FORCE TO STUDY THE FEASIBILITY OF LEGALIZING SPORTS GAMBLING. SR171 REQUESTING THE PRESIDENT OF THE SENATE AND SPEAKER OF THE HOUSE OF REPRESENTATIVES TO CONVENE A JOINT LEGISLATIVE TASK FORCE TO DETERMINE DESIGN SOLUTIONS AND SAFETY FEATURES TO ENHANCE PEDESTRIAN SAFETY ON STATE AND COUNTY ROADS. Growing up in Paia and Kahului has cultivated Senator Keith-Agaran's passion for Maui and Valley Isle residents. Gil brings a wealth of experience from the practice of law, and work in county and State government to the Capitol. With fewer agricultural and blue collar jobs for Central Maui working families, Senator Keith-Agaran believes focused training and key infrastructure construction and expansion are key priorities to bringing well-paying jobs closer to home. Specifically, he envisions a growing health and science campus building on the proximity of Maui Memorial Medical Center, the Kaiser Foundation facilities, the Community Clinic of Maui, and UH-Maui College. He also believes that the State, county and private sectors should partner to reserve and create quality affordable workforce housing. 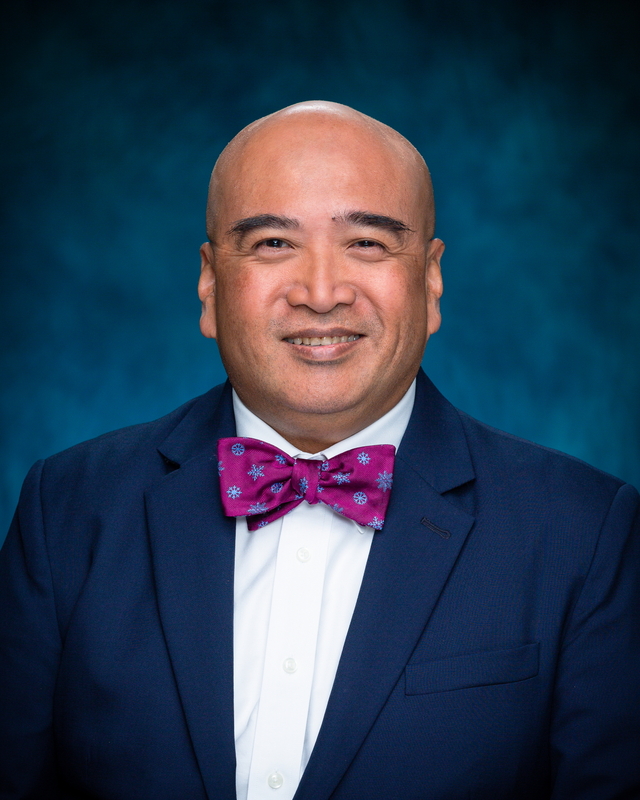 Senator Keith-Agaran is a graduate of Maui High School. He has a BA in history from Yale College in New Haven, Connecticut and he is a graduate of Boalt Hall School of Law at the University of California at Berkeley. Gil is a partner in the Maui law firm of Takitani & Agaran. He is married to Kallie Keith-Agaran. Click here to read the March 2019 Legislative Newsletter. Click here to read the January 2019 Legislative Newsletter. Click here to read the 2018 End of Session Newsletter. Click here to read the March 2018 Legislative Newsletter. Click here to read the February 2018 Legislative Newsletter.